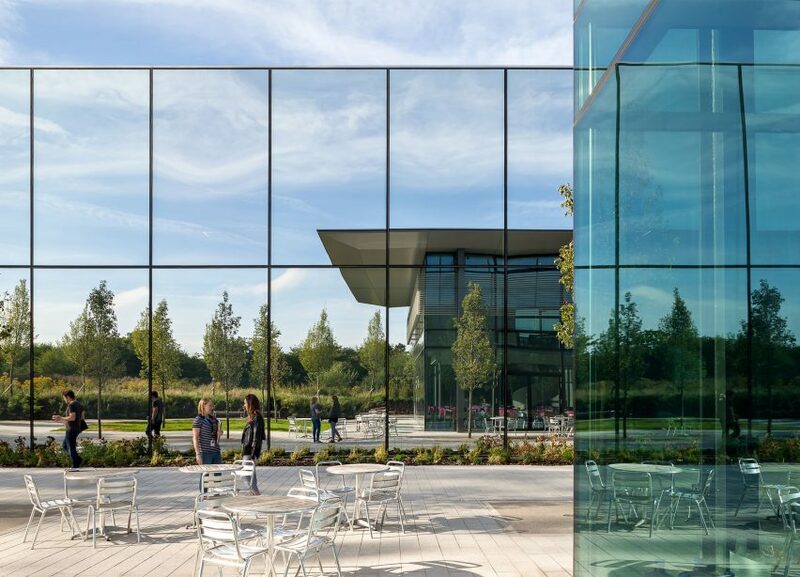 Wilkinson Eyre has added an assortment of new buildings to the headquarters of technology company Dyson, aiming to create a campus to rival "those in Silicon Valley and Singapore". 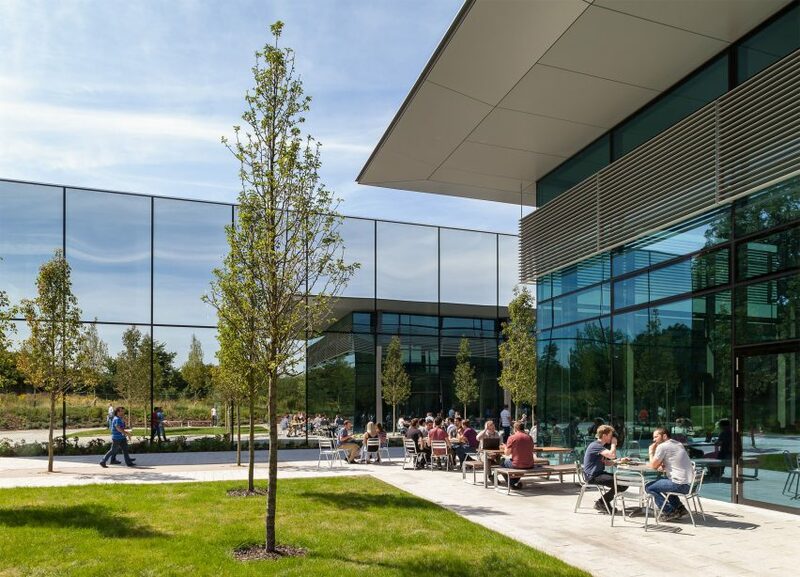 The London-based architecture firm designed four new buildings for the Dyson Campus, which is located on the outskirts of historic market town Malmesbury in Wiltshire, southwest England. 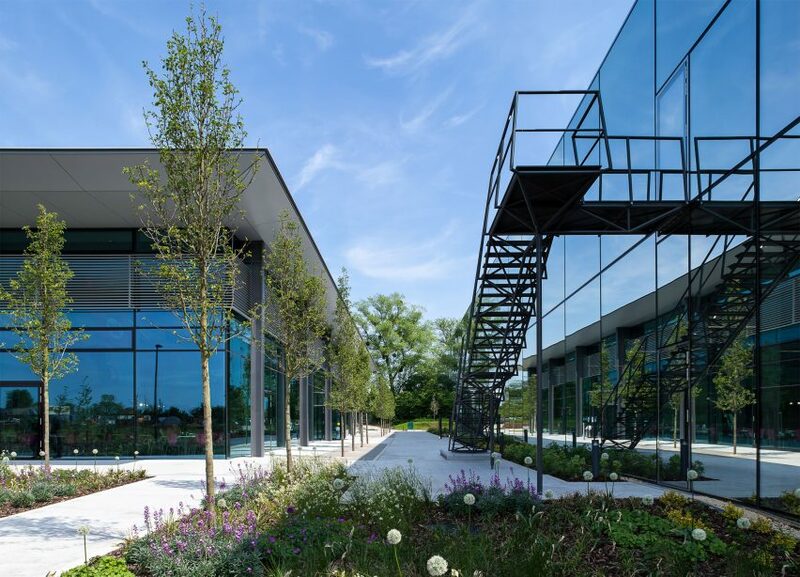 Encompassing a variety of facilities, from research laboratories to sports pitches, the buildings are dotted around the company's existing headquarters and factory, which Wilkinson Eyre completed 17 years earlier. The largest of the new blocks, called D9, creates an all-new research and development facility. Here, Dyson staff can develop technologies for new products, such as the recently launched hairdryer that is silent to human ears. The sensitive nature of the building's use led the architects to develop a design that prioritises privacy. Walls are made of entirely mirrored glass, ensuring plenty of light can enter, but that passersby can't see in. Wilkinson Eyre described the structure as a "minimal, reflective glass pavilion". 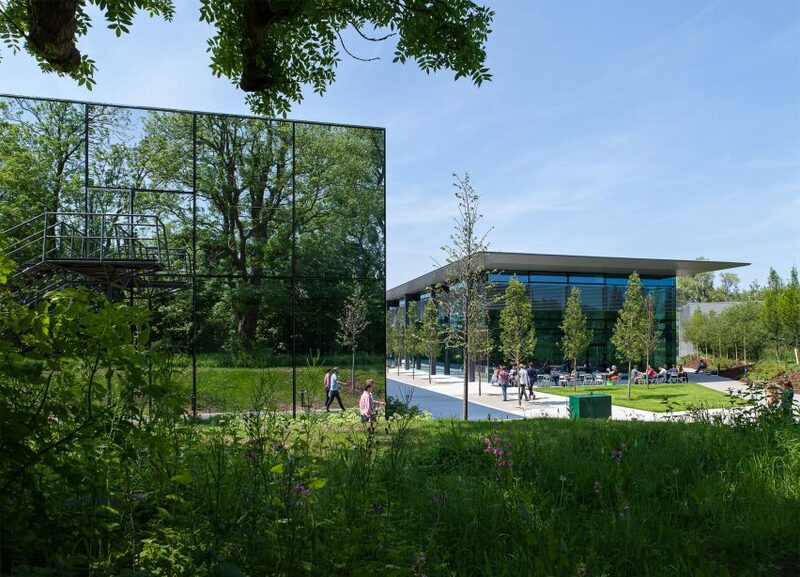 One of the other benefits of the mirrored exterior is that the building is able to reflect the plants and trees that surround it. Inside, the two-storey block is organised around a double-height atrium. A roof of sawtooth windows brings in plenty of natural light, and the clinic-like surfaces feature tones of white and grey. The 12,000-square-metre facility contains 129 new laboratories in total, as well as collaborative spaces where teams can work together. "It is out of critical glare, in stimulating spaces, surrounded by engineering inspiration and design icons, that bright minds can breathe life into ideas, readying them for the market," said company founder James Dyson. "Bolstering our in-house testing facilities, these new labs and spaces allow engineers to continue to boldly develop new technology, learning through every failure." A new canteen known as the Lightning Cafe sits next to D9. It also features glazed walls, but these are contrastingly transparent to allow staff to see what's going on inside. The dining hall takes up most the building. Another double-height space, its most prominent feature is a restored English Electric Lightning Jet that hangs from the ceiling. 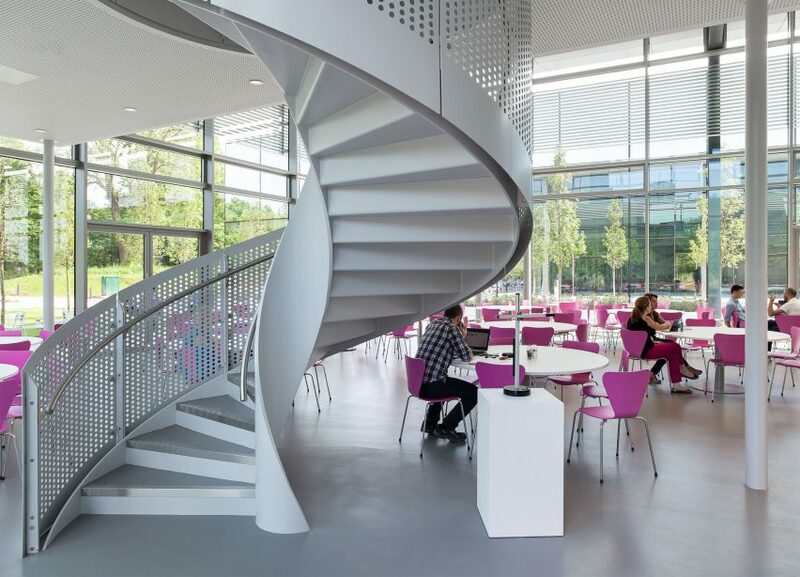 Other details include bright pink chairs and a spiral staircase wrapped by perforated white metal. 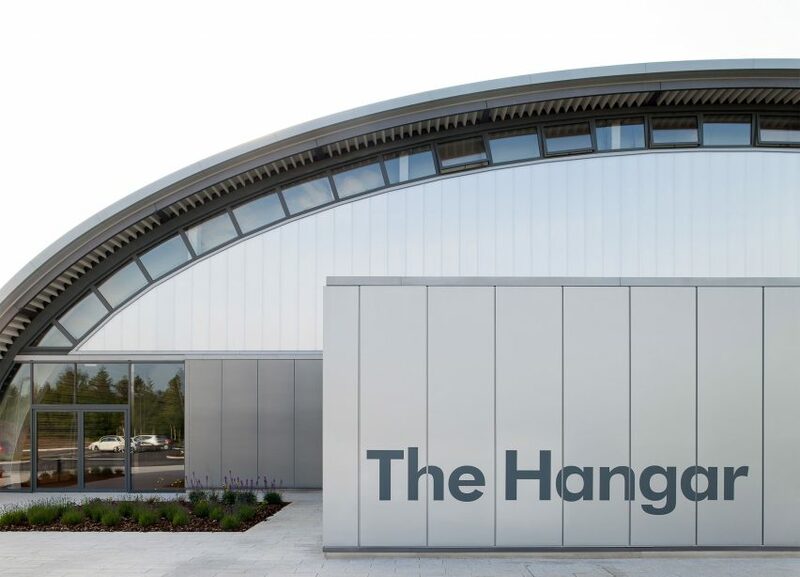 At the northern edge of the campus, the third new building is a bunker-like structure containing sports and leisure amenities for staff called The Hangar. A fourth building functions as an energy centre. The project also included the renovation of the existing buildings, bringing them up to date. 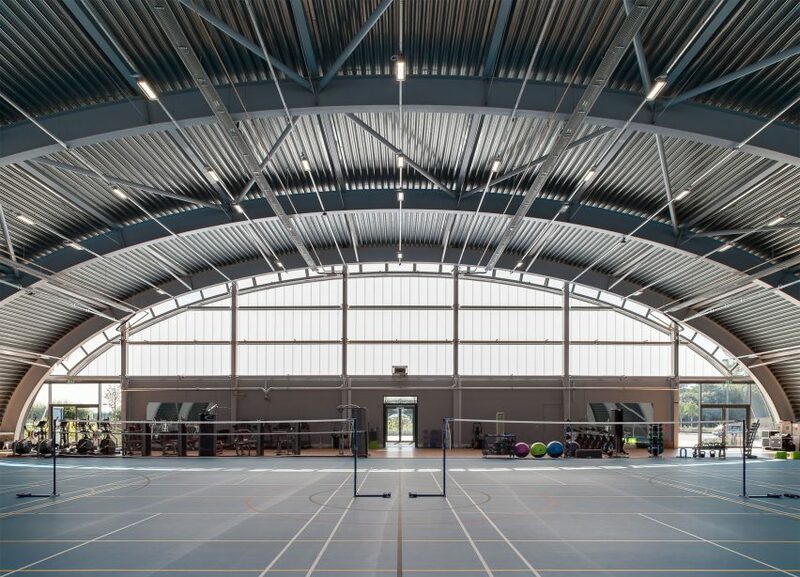 "We have worked with James and his team over a number of years to create a campus which accommodates their changing needs," said Chris Wilkinson, a founding director at Wilkinson Eyre. 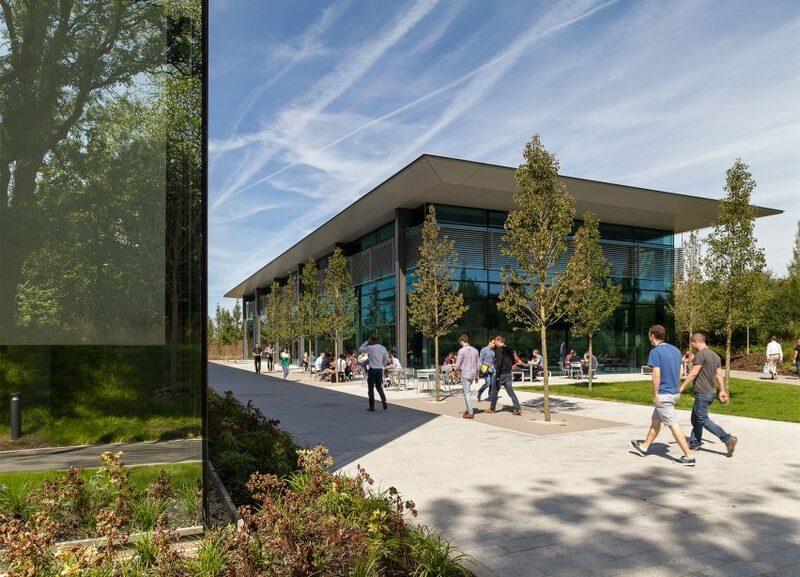 "The latest buildings provide innovative, state-of-the-art design research facilities together with a sizeable all-day cafe and a sports activity centre to serve the technical and social needs of their creative, young workforce," he added. The architects worked with lighting designer Jake Dyson – James' son – to ensure each space has appropriate illumination. They integrated a number of sustainable technologies, including photovoltaic panels and chilled beams. Landscaping also came under the brief. The team's strategy included using raised banks to create privacy, and creating connections to an existing nature walk. Wilkinson founded the architecture firm as Chris Wilkinson Architects in 1983. 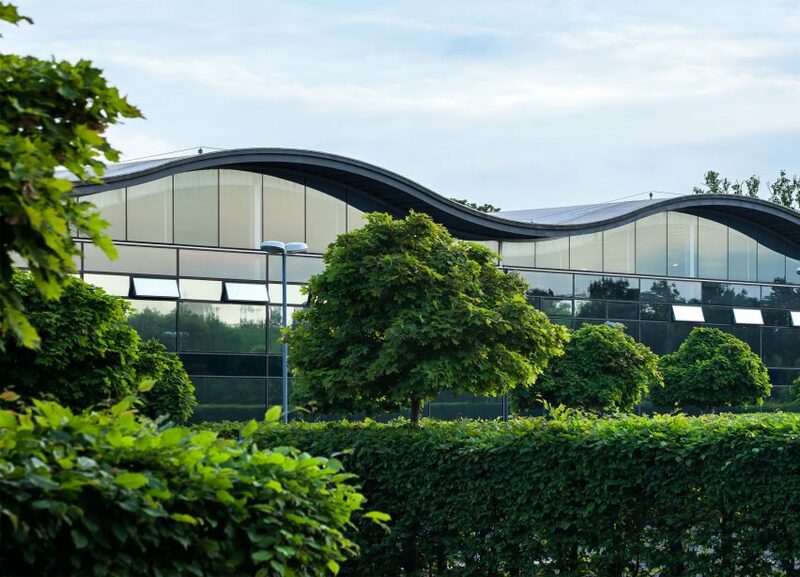 Former colleague Jim Eyre joined him as a partner in 1987, and the company rebranded as Wilkinson Eyre in 1999 – the same year the Dyson HQ was completed. Other projects completed since then include the Gateshead Millennium Bridge in northern England and the Gardens by the Bay tropical garden in Singapore. Photography is by WilkinsonEyre/Dyson Research Limited.